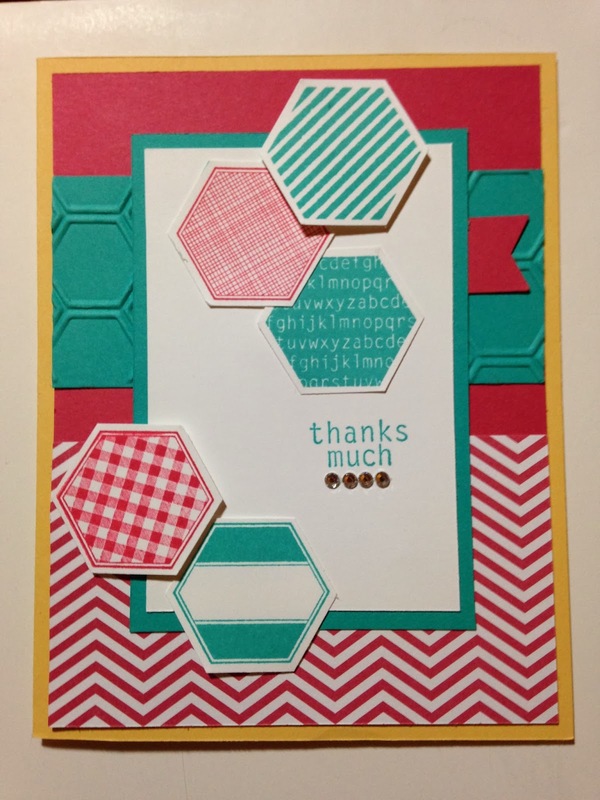 Welcome to our monthly Color Challenge with Stylin' Stampin' INKspiration! Guess what? YOU can play along! Click on either picture to take you over to our blog and add pictures of your cards. You have ONE week to participate and there might be a little "prize" for the top pick (hint-hint)!!! Here is my take on this challenge... (I did use someone else's computer as inspiration so if this seems like a case, sorry, I can't find the original I based it off!). Gotta match the envelope, right? We still don't have our computer fixed (now they are saying they can't "find" our computer and are sending us a gift card to purchase a new one.... I will try to get some blogs posted for you tonight (before Marc's Mom leaves tomorrow) but if not, it might be another week or so without posts! So sorry... I am off to work (while a lot of you are home for a snow day). 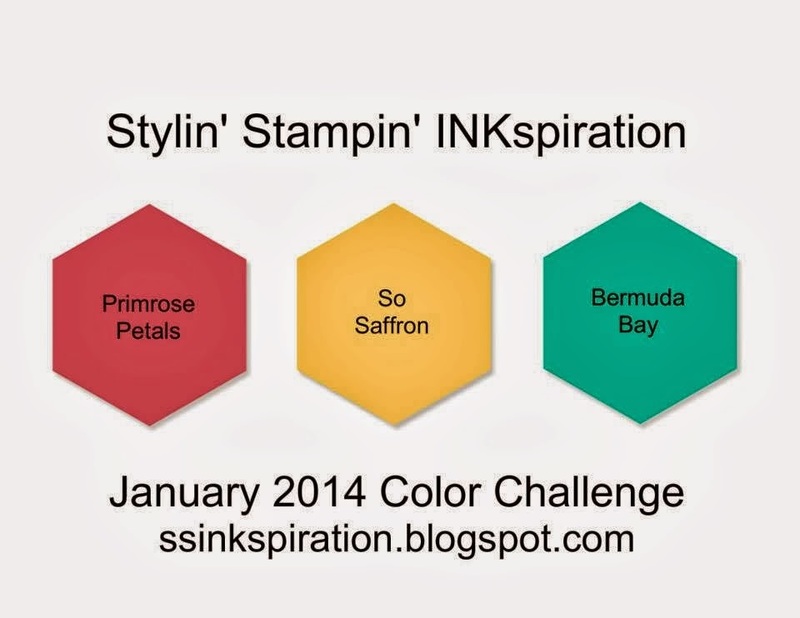 Thanks for reading my blog and make sure to PLAY ALONG with our Color Challenge! Cute card! 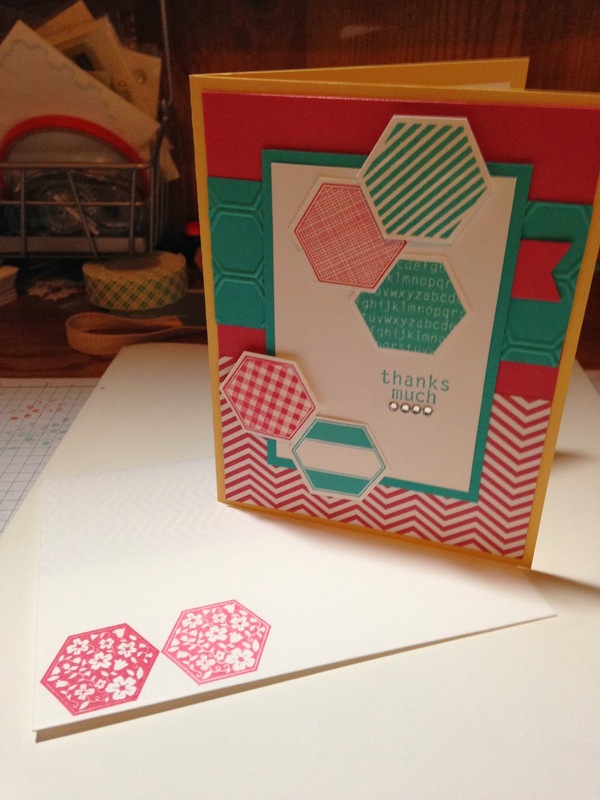 I need to use more of my hexagon stamp set and punch!!! Thanks for the INKspiration!! Love this card! It's so fun and cheerful! Such a cute card. Love what you did with the color combo.